The fringes of the ancient parish of Halesowen are now part of the City of Birmingham. Halesowen A church and two priests at Halesowen are mentioned in the Domesday Survey of 1086 so, although the oldest part of the church of St John the Baptist dates from 1120, the church is of Saxon foundation. 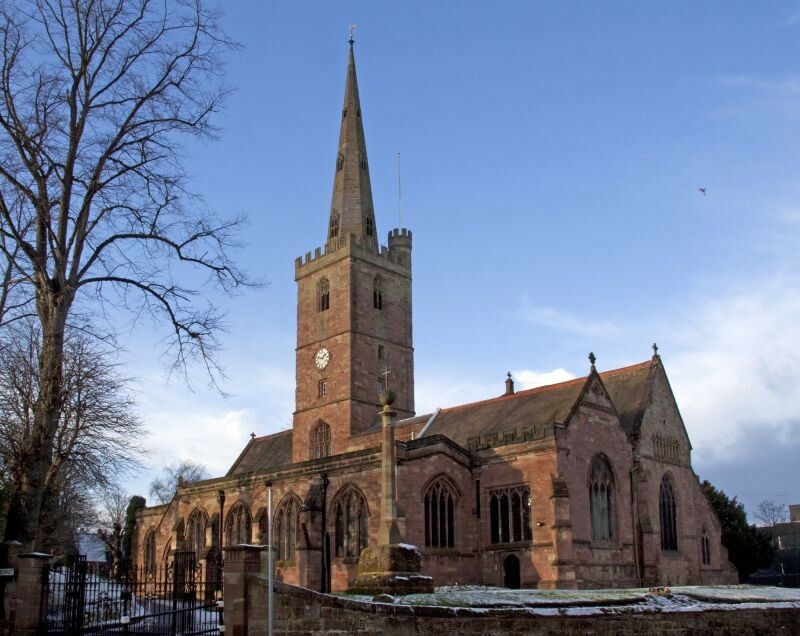 It seems to have been subject to Halesowen Abbey from the foundation of that institution in 1214 until the Dissolution of the Monasteries by Henry VIII 1536-1539. Halesowen Abbey In 1214 King John gave the manor of Hales to the Bishop of Winchester to build a religious house there. 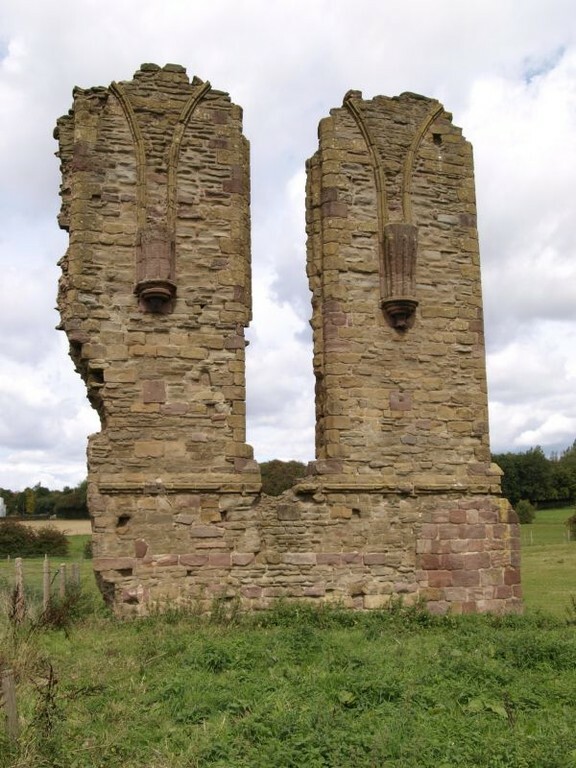 The Abbey of the Blessed Virgin Mary & St John the Evangelist was established in 1218 by canons from the Premonstratensian monastery at Welbeck, Nottinghamshire. Rather than monks, they were a community of priests living together following the rule of the Cistercian order. The abbey and its possessions were surrendered to the Crown by its last abbot in 1538, and two years later the monastic buildings were partly demolished. Parts of the Abbey’s buildings still exist incorporated into the north barn of Manor Farm. Frankley The Saxon origin of Frankley Church is evidenced by the base of a Saxon cross in the churchyard. However, the church does not appear in documentary evidence until the 12th century. The oldest visible parts of the building date from the 15th century. Frankley church, also subject to Halesowen Abbey, was a chapel of Halesowen until 1866. See Frankley. Quinton Quinton, formerly known as Ridgacre, lay within the parish of Halesowen. It had no church or chapel of its own until 1840 when Christ Church was built. See Quinton. Click to enlarge the images above. Above left: St John the Baptist, Halesowen Parish Church photographed by Tony Hisgett downloaded from the British Listed Buildings website under the specified Creative Commons licence - http://www.britishlistedbuildings.co.uk/en-359809-church-of-st-john-the-baptist-halesowen/photos. 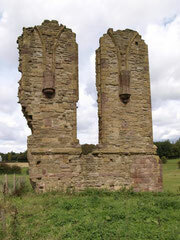 Above right: The ruins of Halesowen Abbey of the Blessed Virgin Mary & St John the Evangelist photographed by James Storer downloaded from the British Listed Buildings website under the specified Creative Commons licence - http://www.britishlistedbuildings.co.uk/en-359823-st-mary-s-abbey-ruins-manor-farm-halesow/photos.